As I reflect on my first year in this post, one of the most rewarding parts of an amazing year has been getting to know you. It has happened on multiple levels. I’ve enjoyed meeting you during your visits to Grounds and in my travels around the country. Over coffee, lunch, cocktails and dinners, you’ve shared your thoughts and ideas with me. And I’ve appreciated learning more about you in another way—from the alumni survey so many of you completed this spring. I promised I’d share the results with you, and I’m excited to do that here in highlighted form as well as in greater detail here (11MB PDF). Why did we feel the need to conduct a comprehensive survey? 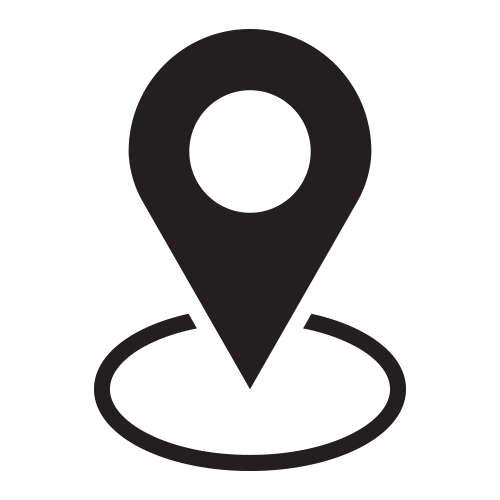 Quite simply, we want to make sure that we’re meeting your needs. To get at that, the survey asked two questions across a wide swath of topics: What’s important to you and how are we doing in delivering on those priorities? The results have been not only insightful but also actionable. We had statistically high participation with strong representation across the graduation eras, from pre-Vietnam to the post-Great Recession of recent years, offering a window into the UVA alumni base—230,000-plus strong and projected to approach 300,000 by 2038. As you might guess, alumni responses can be as diverse as our alumni themselves, but common and cross-generational themes emerge as well. Below are just a few of them, along with some of our takeaways and action items. You’ll see that, in addition to being a wonderful first year at the Alumni Association, it has been a productive one. On both scores, I have you to thank—for your support and for your engagement, including taking the time to complete our survey. With so much activity underway, look for regular updates from me here in the magazine and on our website. Until then, continuing thanks and Wahoowa. 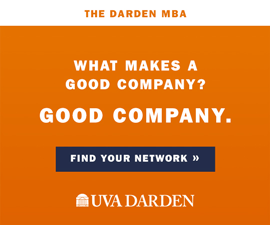 You’ve validated two core tenets of our mission: our role as your communication channel and your UVA connection. We need to invest in providing you with optimal channels to share news from Grounds and have your voices heard by the administration, including expanded use of social media. We continue to expand coverage of alumni, as you’ll discover inside the magazine and across all our media platforms. Our alumni see the Alumni Association as a vehicle for advancing educational excellence at the University. Out of 12 choices, four of the top five reasons for giving to the Alumni Association relate to that priority. Another must-have is transparency in how we put your gifts to work. We want to build on our current academic excellence initiatives, including our array of academic scholarships, the Jefferson Trust grants we award to support educational enrichment, the Mead Endowment we manage to foster professor-student mentorship and more. One innovation includes helping alumni create experiential learning opportunities for students, the subject of my letter in Virginia Magazine’s Summer 2018 issue. To aid transparency, we’re developing an annual report that will show exactly how we deploy your philanthropy. 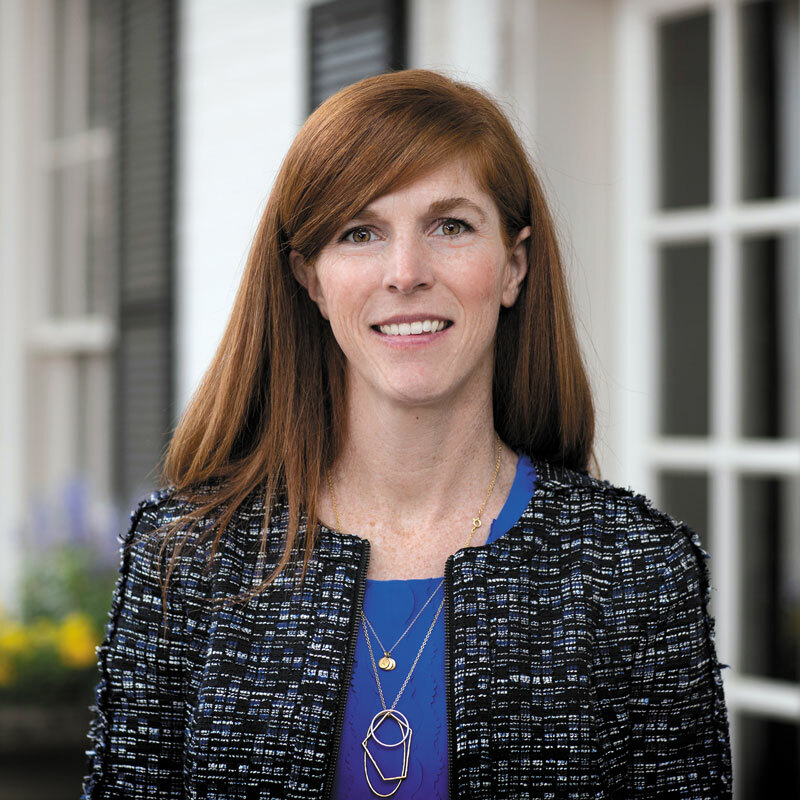 When we asked alumni to choose two initiatives for us to focus on in the next five years, the top vote-getters were expanding our alumni careers services and creating a digital hub to serve as your central connection point to UVA. We’re expanding career services, including adding staff to build out professional and workplace networks and partnering with schools and units to offer career-based regional programming. We’re investing in our digital infrastructure, including developing a new online portal to serve as a digital hub for alumni. 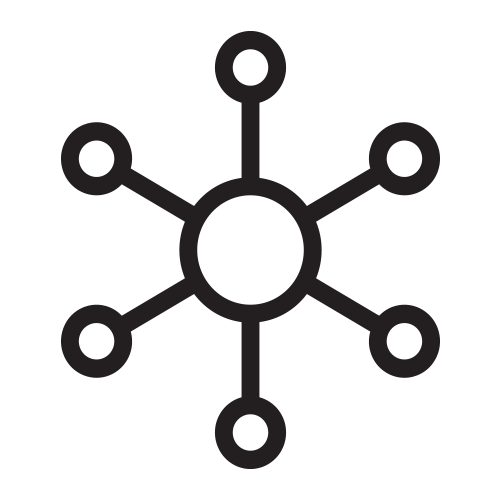 We’re exploring ways to make Alumni Hall a more inviting and inspiring connection point for alumni, a physical hub to complement our digital one. 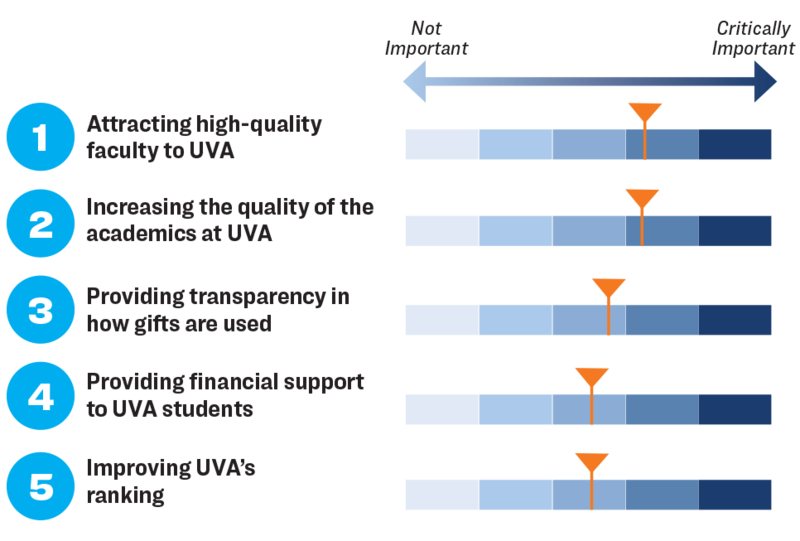 UVA outshines other schools when alumni rate their student and alumni experiences, but that doesn’t carry over to a sense of connectedness to the institution. 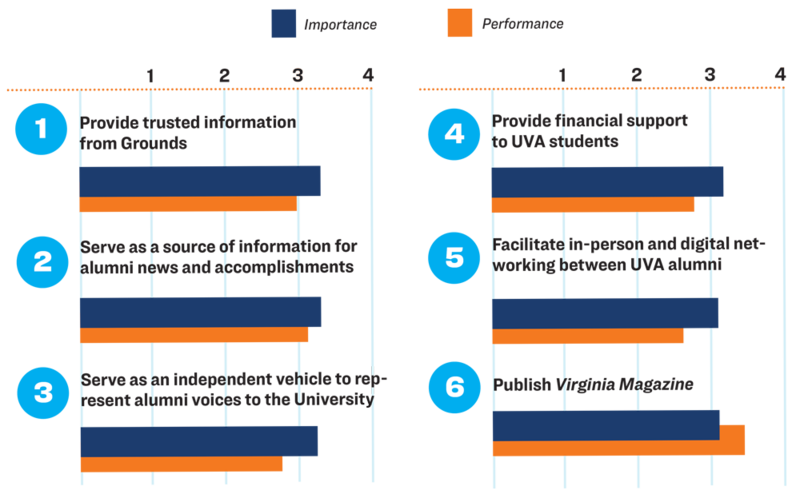 However, only 39 percent of UVA alumni reported feeling very connected to UVA, while 53 percent of alumni from comparable schools reported the same. We need to know what helps you feel connected so we can do more of it. 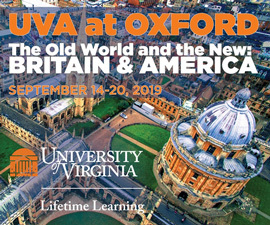 In fact, tell us how you connect with UVA, with your letters to the editor or online using the hashtag #UVAAlumni. We are looking for ways to develop and promote more opportunities for alumni to get involved across Grounds, including mentoring students, guest lecturing and providing career support. We are investing in regional programming and events that connect you to the academic and student experience. If you’d like to share your feedback about the Alumni Survey, please email us at alumni-comments@virginia.edu. When did I mention the Great Recession??? CRJ i have the same situation with Rochester Tech - RIT. This century, with all the either ego inflationary title or campus alumni marketing dept. brain storm, they want it Rochester Tech University. They wouldn’t dare say college! Colleges with a long history as a quality institution and a brand in their name aren’t intimidated. So “85% rate their alumni experience as good or excellent”. How many of them join the handful of alums at any meeting or event except for the one popular event for any college or university, a sports outing? About a dozen alums come to any college alumni activity i’ve ever heard of ! Where are the 85%? You mentioned the “great recession”. No, you got that wrong like so much of liberal Democrats made up facts. 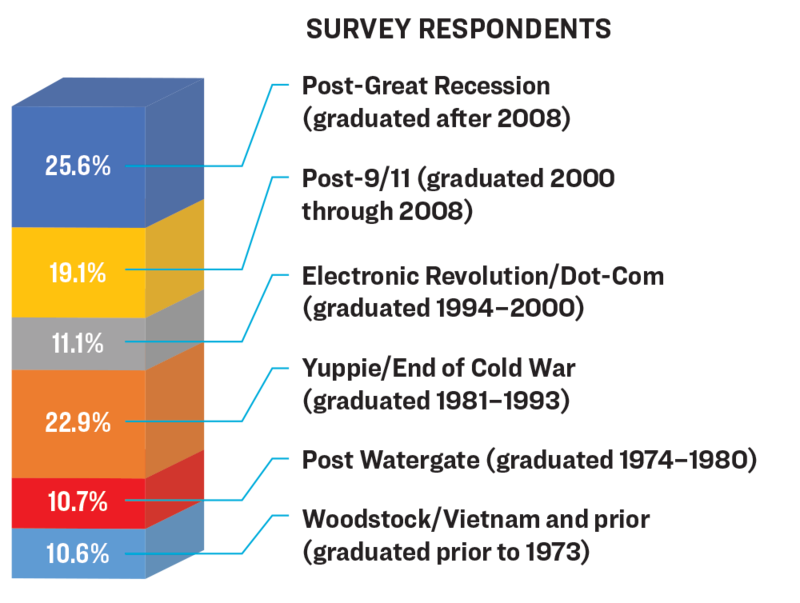 There have been bad great recessions, like the first i experienced in 1970 when on UVA staff one year out of RIT. The Boeing Co. nearly went bankrupt and hardly anyone was buying the new B-747 airplane that the company had bet their future on. Have read three accounts of the great depression of 2008, that it was actually “worse than the Great Depression of 1929”. The difference is we have a $19T debt hanging over the country. In the mid-1990’s my class at Darden Grad School of Business was given a case study concerning the serious problem of a $400B National Debt. Darden does not get involved in government affairs but this was the one historical exception. Conditions in America both monetarily and morally, have long been worse than the Roman Empire or the USSR when they collapsed for the same reasons. Slide 40. Georgia Tech University???? THERE IS NO SUCH PLACE!!! Use Georgia Tech or Georgia Institute of Technology!